A Rebirth. And Why It Matters. It wasn’t long after smart phones, tablets and ubiquitous Wi-Fi that workplace pundits predicted the end of the office. If emerging technologies allow people to work anywhere, they reasoned, then who needs the office? As it turns out, the vast majority of workers do—because work, at its essence, is a social endeavor. Even people armed with the latest mobile device still come to the office for two main reasons: to connect with other people and to access technology they can’t carry around in their backpacks. The office didn’t go away, but it’s evolving into something fundamentally different. The office didn’t go away but it’s evolving into something fundamentally different. 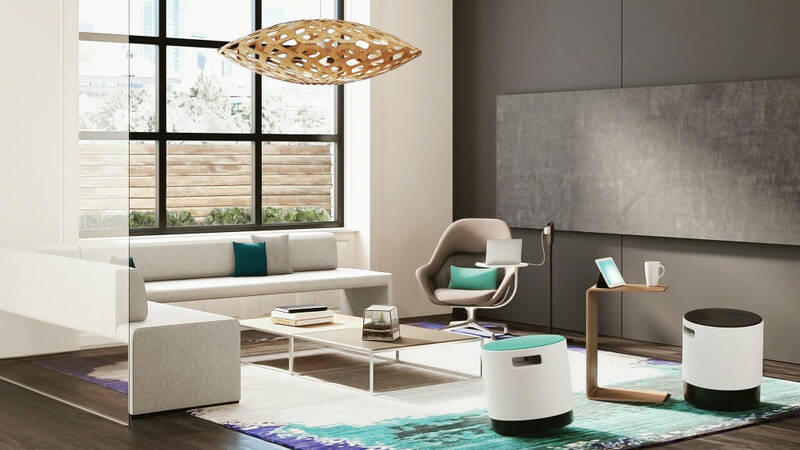 To understand why and how the office is changing and to learn how organizations can make the shift in their own spaces, 360 Magazine talked with experts in the Steelcase Design Studio. Based in Europe, Asia and North America, this global team not only spotted signals of change, they’ve also helped foster the office renaissance by offering a fundamentally different approach to workplace design that puts human beings at the center and addresses their needs for emotional, cognitive and physical wellbeing. Changing attitudes about the office emerged in pop culture in the 1990s in North America when Dilbert cartoonist Scott Adams began lampooning the workplace. Later, a mockumentary television series, “The Office,” launched in the UK, and was reproduced in the United States, France, Germany, Canada, Israel, Chile, Sweden and China, signaling a growing global discontent with the mainstream office. The office became the symbol for wasting one’s life in bland, non-descript spaces. Tech startups in the early 2000s were some of the first to make radical changes in their workspaces. Communal tables and do-it- yourself design may have been a necessity to cash-strapped entrepreneurs, but the informality and creativity struck a chord with workers everywhere. The introduction of game tables, slides and train cars brought an element of playfulness to some offices, suggesting that maybe, just maybe, work didn’t have to be a meaningless grind. It could actually include an element of fun. Tech startup offices were really just an early signal of greater change to come. After years of frustration and growing fatigue over the sea of sameness that so many offices had become, people wanted more autonomy, self-expression and freedom. Emerging technologies offered an escape route and many people voted with their feet, leaving the office whenever possible to work elsewhere. It seemed like a good idea, at first. The idea of waving goodbye to the office and working in a cool coffee shop seemed like a worker’s utopia. Until they actually did it for a while. Then people started to discover that cushy sofas get uncomfortable and small tables make it tough to spread out your stuff. Remote work proved to be a solution some of the time, but not all of the time. In fact, Gallup’s State of the American Workplace report found that people who worked remotely 20 percent of the time or less were the most engaged. But the study also revealed that higher levels of remote work correlated with higher levels of disengagement. It seems that enthusiasm for remote work was tempered by the underlying need to seek places that offer emotional as well as physical comfort—where it was easy to get work done. 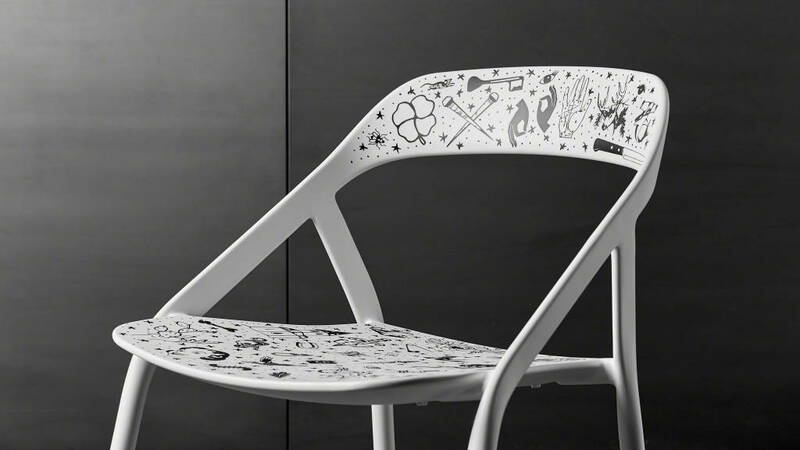 The LessThanFive Chair by Coalesse is completely customizable. Choose the exact color you want, add a gradient, choose a finish or upload a completely unique graphic design to make it reflect your brand or personality. Reject the sea of sameness with a new kind of office landscape. Bivi Rumble Seat gives people a soft place to land and a place to be themselves. And so began the office renaissance. Like any cultural movement, whether it’s Europe’s 17th-century “age of enlightenment” or today’s widespread farm-to-table movement, most people don’t realize the impact while they are in the middle of it. Things begin to change around us—gradually at first—and then suddenly it seems like everything is different. Where and How Work Happens Has Changed. Rapid advances in technology allow people to work anywhere, anytime. It’s clear that the old paradigm—one person working almost exclusively in one workspace—does not support the ways people are working today. The Shift to Creative Work. New pressures to compete and grow businesses shifted organizational emphasis toward work that requires creativity and a new, team- based innovation process. “Breaking rules and breaking patterns is where new ideas come from,” notes Bruce Smith, director, global design. Many workplaces don’t make spaces for creative collaboration a priority. The War for Attracting and Retaining Talent. Employees with coveted 21st-century job skills, those who can help organizations innovate and grow, are a limited commodity. They often choose organizations that offer the most meaningful work and the best working conditions, rejecting anything that makes them feel like a cog in the wheel of industry. This is true for attracting new employees as well as retaining existing ones. Employee Disengagement. Over one-third of workers in 17 of the world’s most important economies are disengaged, according to “Engagement and the Global Workplace,” a study conducted by Steelcase and global research firm Ipsos. The study found that the most disengaged workers were also the most dissatisfied with their work environments, citing a lack of control over where and how they work. Workplaces with a strong focus on uniformity don’t empower people. This creates a crisis for organizations that need to be agile and resilient. The Promise of Technology. 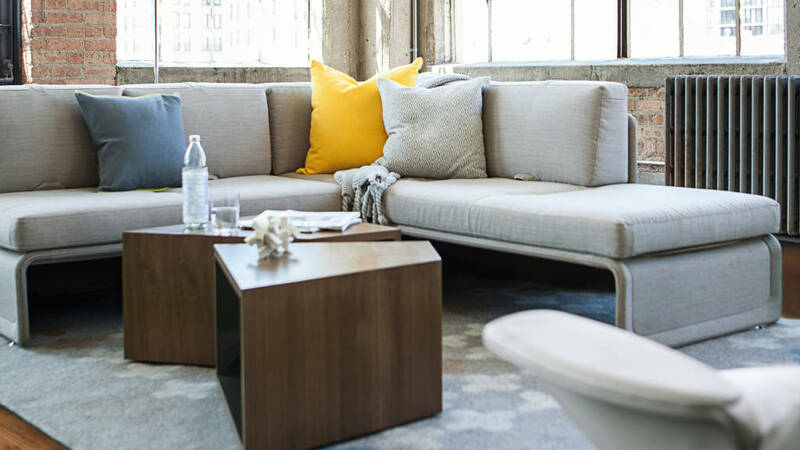 Consumer technologies are a game changer for the office. People are accustomed to technology that helps them drive better, manage their home appliances remotely, walk more, sit up straighter or connect more with their friends and family. Then they come to offices where technology largely exists on desktops or mobile devices, and no one has thought about embedding it in the physical environment to help make the work day better. But when it’s thoughtfully integrated in the walls, floors and furniture, technology holds the promise to actually make the work experience more human centered (see Driving the Wellbeing of People). People often want a more comfortable, inviting place to work that offers different postures and a more relaxed environment where they can be themselves to work alone or meet with peers. 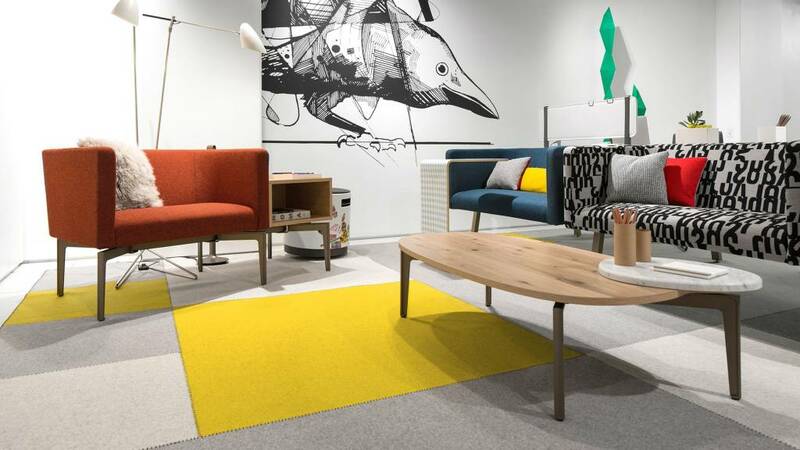 To address the anti-corporate backlash, some organizations turn to residential furniture in an effort to create greater informality, emotional comfort and a one-of-a-kind look. 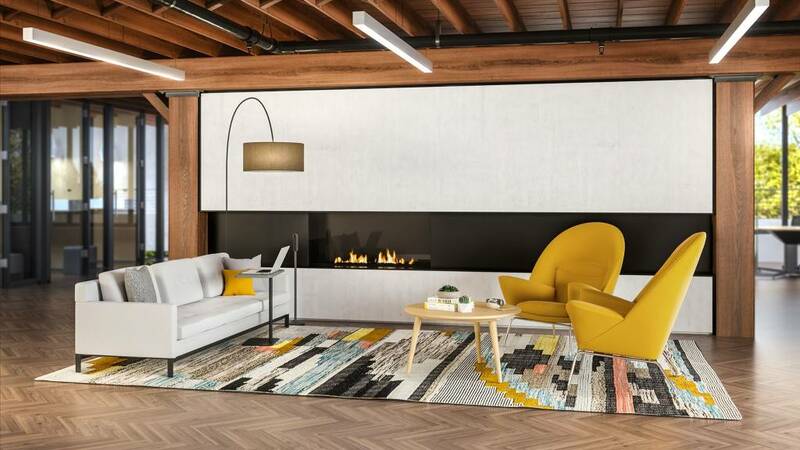 Companies today, especially startups, “are looking for things to last as long as their leases, which are getting shorter,” reports an American Society of Interior Designers newsletter. But there are pragmatic trade-offs in terms of sustainability: Products designed for lighter, residential use don’t hold up to the demands of a workplace. And, with a shorter lifespan and less focus on recyclability, they might see a landfill sooner. Taking their cues from startups, organizations are also exploring radical openness in a desire to reflect greater transparency. What gets overlooked, however, is the basic human need for solitude and privacy, which supports both emotional and cognitive wellbeing. “In an entirely open work environment I might have a sense of place but I lack privacy,” notes Smith. Participants in the study, “Engagement and the Global Workplace,” offered candid feedback about what needs to change in their workplaces, and the most common complaint was lack of privacy. “The noise level is distracting,” one worker wrote. 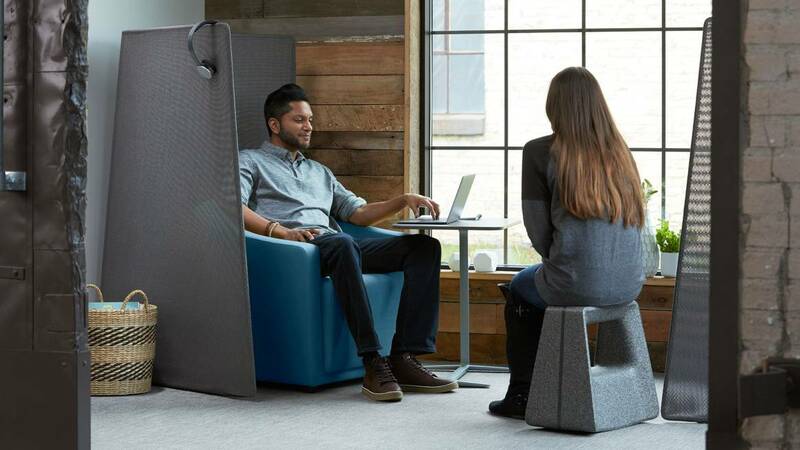 “It’s very difficult to concentrate and to hear when on phone calls.” Another worker wants “a more private space… to do my work without interfering with anyone else.” Both introverts and extroverts are asking for an option to escape and concentrate. Like any complex issue, there is no single right answer for every person or organization. Cherie Johnson, global design director, counsels organizations to think about “purposeful placemaking.” “You need to understand how and why people use a space, and then create spaces to reflect clarity, simplicity and purpose,” she says. Provide power to informal spaces where people often prefer to work and where power is usually lacking. 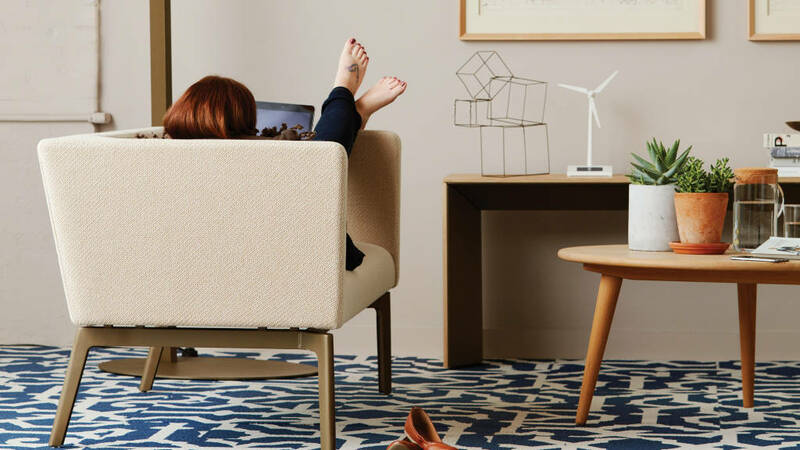 Thread ultra thin power distribution lays underneath the carpet and seamlessly integrates into a space, providing power to furniture and devices, without impacting foot traffic. The office renaissance recognizes the critical role human emotions play in the process of work. Traditionally work has been thought of as a mostly logical process; emotions could influence decision-making in potentially worrisome ways. New research, however, illuminates the connection between emotions and cognition, as well as physical wellbeing, and validates the role of emotions in achieving business success. Traditional workplace metrics, such as real estate costs or increasing productivity, are still important, but new insights from neuroscience are shedding light on what inspires people to achieve more. Nurture a sense of belonging and foster strong connections between people. 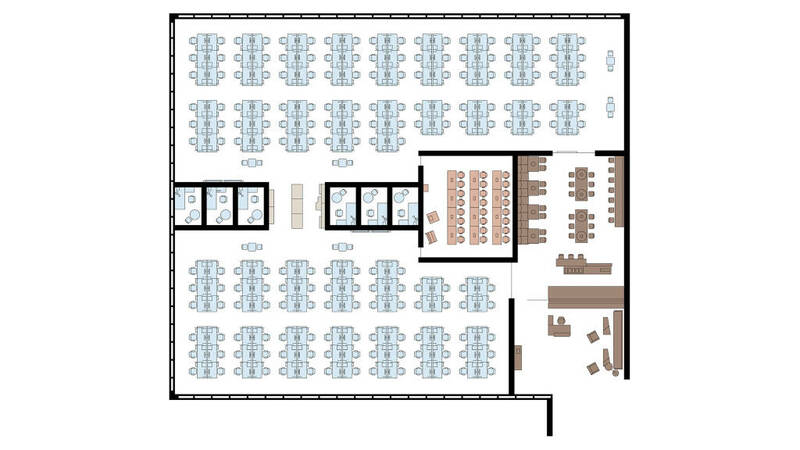 Thoughtfully blend spaces for socialization and collaboration with spaces for individual focus and rejuvenation. Provide for moments of respite throughout the day to help people cope with “fight or flight” stressors, which generate cortisol and other hormones that compromise body and mind. Help people see their relationship to the organization, which leads to a sense of purpose in their work. Support people’s need for focus and rejuvenation so individuals and teams can concentrate easily, solve problems and generate new ideas. Promote social interactions that stimulate the brain and improve creativity. Provide easy ways to offload information so brains don’t become overtaxed. Reduce the threat of “group think” by supporting needs for privacy and solitude so people can absorb information, generate their own point of view and become better collaborators. Allow people to practice mindfulness and build their mental muscles to stay focused and present in the task at hand. Integrate sensors, large-scale computing technology and other devices to help make work easier. Support frequent movement throughout the day for physical and mental vigor. Encourage a range of postures that help people stay comfortable and energized. 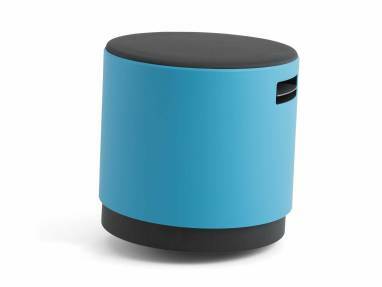 Promote ergonomic and active sit- ting so people can move and shift postures to prevent stiffness and pain, especially if movement isn’t inherent in their jobs. 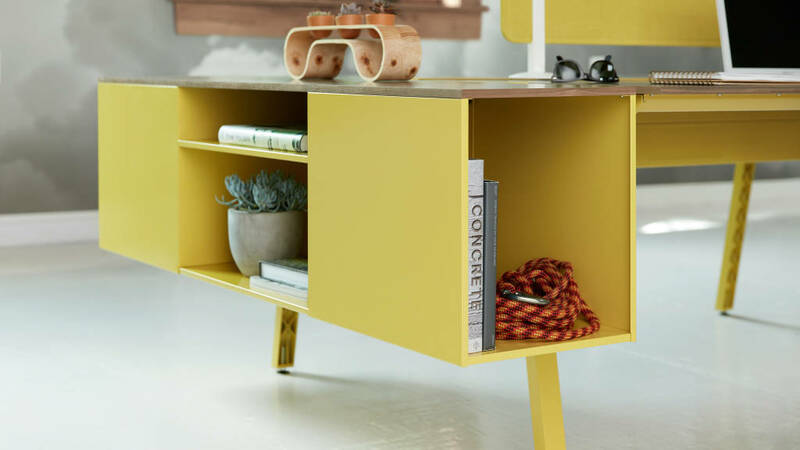 Materiality like planked oak veneer and lux coating paint allow for personalization and create an authentic vibe. Democratize space – Similar to a healthy ecosystem in nature that is biodiverse, create a range of spaces that support different work modes so people can choose where to work, regardless of where they are in the organization’s hierarchy. Affirm people’s needs for privacy – Balance the desire for openness with the human need for solitude. 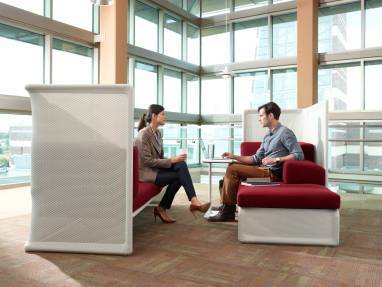 Create spaces that sup- port focused work as well as rejuvenation. Promote personalization – Create spaces that feel bespoke to the organization and the individual. Prioritize self-expression and authenticity over perfection. 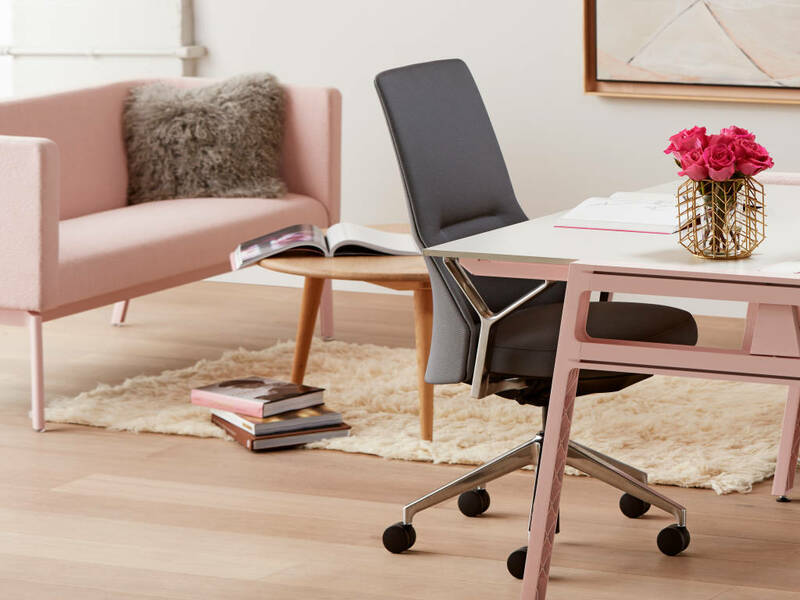 Support multiple postures and movement – Incorporate spaces that allow people to work in whatever posture works for them—lounging, standing, perching, walking or sitting upright. Embed performance – The most inviting and inspiring spaces help people make meaningful progress on their work. Integrating power distribution for technology makes it easier for people to collaborate, encourages movement and makes it easier to get into focus. Help people find available places to work and provide a feedback loop to the organization about space utilization (see Driving the Wellbeing of People). Take cues from nature – More than just adding plants— which is important—seek variation over uniformity. Incorporate naturally complex materials and a plurality of shapes, forms, patterns and textures. “The best environments are the ones that have a plurality of choice within a culture that empowers workers to make those choices. In a consumption-aware society as we are today, people prefer substance over status. Customization enriches choices, enables expression and engages customers as participants in the making process,” explains John Hamilton, Coalesse design director. While periods of cultural change can be difficult and stressful for everyone involved, the rebirth can open new possibilities for people to experience a greater sense of meaning at work, and open new opportunities for organizations to perform better than ever. Did the people who lived in Europe in the 17th century know they were in the throes of a renaissance? It’s with hindsight that we see how that time period contributed to our idea of what it means to be human, with inherent beauty and joy and meaning. Similarly today, we can’t fully foresee how this movement will redefine the ways people view their relation- ship with work and the workplace. Whether you call it a rebellion or renaissance, change in the workplace is happening and creating a place for humanity and emotions at work. Personal details and thoughtfully placed accessories create spaces that feel branded and reflect people’s values. The standardized approach to workplace design in use by many organizations today has created uninspiring spaces people are rejecting. This office rebellion is forcing organizations to rethink their workplaces and take a fundamentally different approach to workplace design. 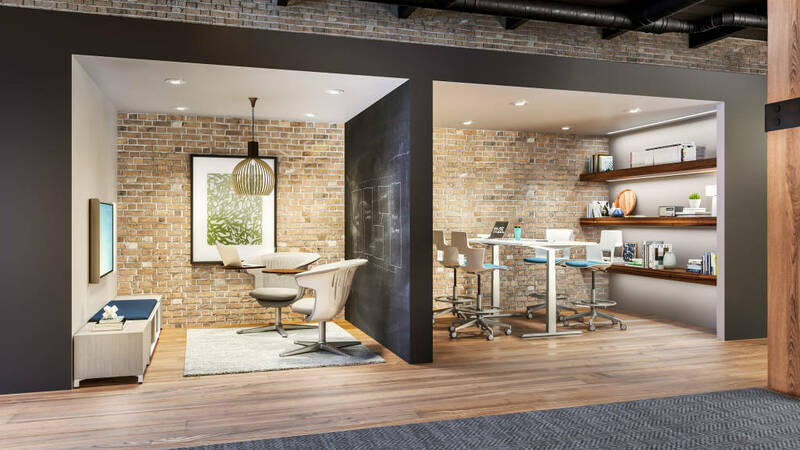 The floor plans below demonstrate how you can take a traditional floor plan and migrate it to create a workplace that inspires and motivates people by addressing their emotional, cognitive and physical wellbeing. Traditionally, offices were focused on uniformity and standards. The majority of the space was dedicated to individual workstations, separated into departments, where people spent the majority of their time working alone. 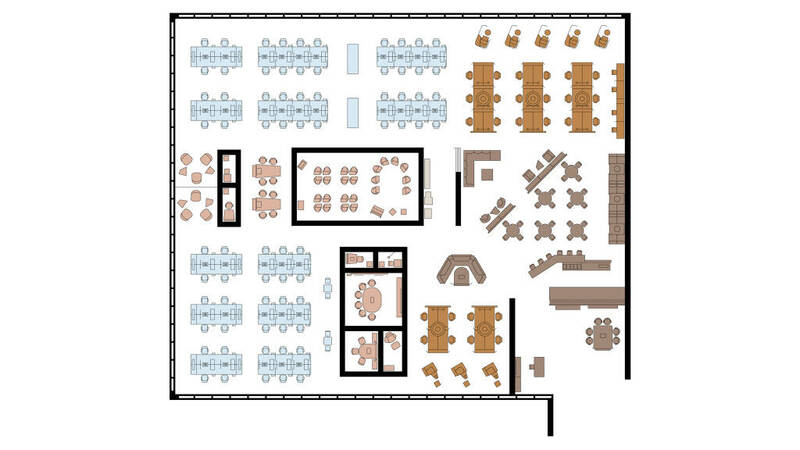 A cafeteria provided a place to eat lunch and large meeting rooms were used mostly for informative collaboration. By reducing the number of dedicated individual workstations and creating an ecosystem of spaces, people now have the freedom to choose how and where to work. The social hub, previously just a cafeteria, shifts from supporting just nourishment to now also becoming a place for workers to connect and collaborate. A nomadic camp—purposely placed near the social hub—is added to support emerging mobile behaviors. The additional settings offer mobile workers a place to work alone or with others. Workers can see and be seen by coworkers, or choose a private setting for focused work. A resident neighborhood includes spaces for managers in the open plan to pro- mote learning and quick problem solving. The resource center offers workers a space to securely store coats and bags and access meeting tools. The meeting commons grows to now offer a system of spaces that support generative, informative and evaluative collaboration.